We have just purchased the first stage Oxford Reading Scheme (wordless books set A and B) to help develop your children’s interest and introduction to the characters they will find within them. Children’s speaking and language will increase due to talking about the pages and what is happening in them, finding key picture cues – making up their own narratives. 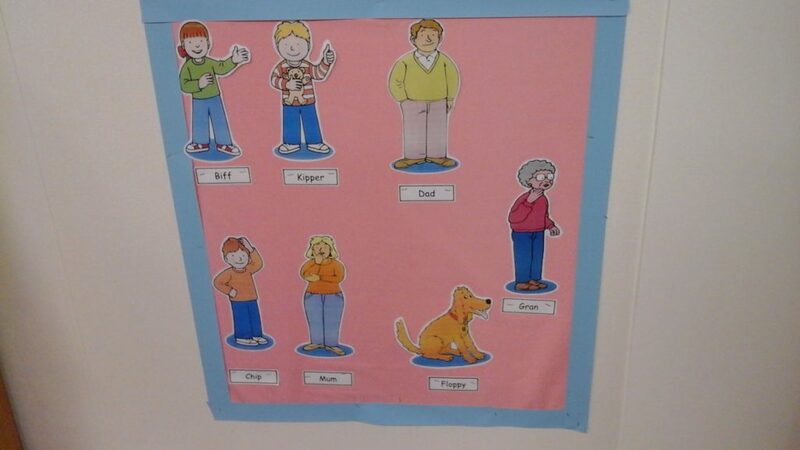 This reading scheme is used by all schools, therefore aiding your child to be confident and ‘School Ready’, developing their problem solving skills by using the skills already embedded, to look for clues to work out hard words they are unsure of, once they move onto word books. The link above will give you an insight as to what your children will be reading once they enter Reception. We hope you will find the time to look into Oxford Reading Tree, so you can be aware and enjoy your time reading at home with your children. It is a valuable and rewarding time had by both child and parent, which in turn will move your children on with their reading and love of books.